Looking for the ALLO DigiOne Signature? Find that review here. HATS. Not The Blue Nile’s sophomore LP but that given by Raspberry Pi to add on-boards for their small-board computer (SBC). A HAT (Hardware Attached on Top) slides on to the 40-pin connector to extend the Raspberry Pi’s functionality; during the boot process, the HAT is auto-registered and auto-configured by the host operating system. No delays, no user intervention and, best of all for the DIY-allergic, no soldering. 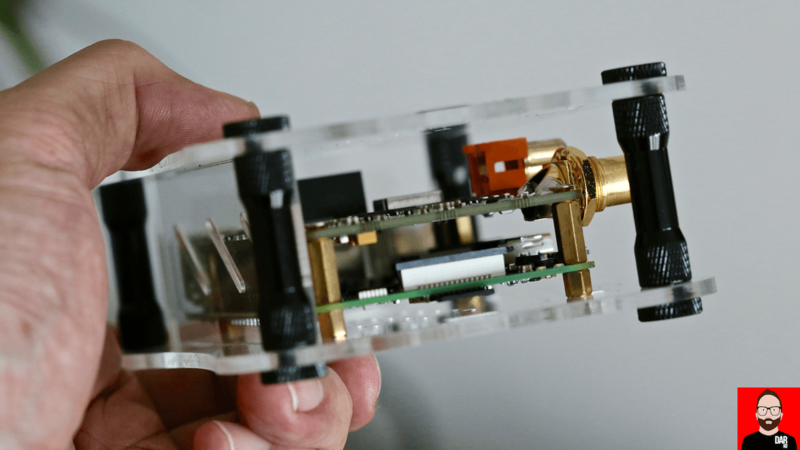 The relevance for audio enthusiasts, especially those with more revealing hifi systems fronted by a DAC, is how the €35 Raspberry Pi’s poor-sounding on-board USB output can be completely side-stepped. A HAT moves the digital audio signal upstairs for re-clocking and, hopefully, to also leave electrical noise behind. Lower electrical noise and lower jitter make for less mechanical-sounding D/A conversion music, which we hear from better-sounding transports like the AURALiC Aries (Mini), the Wyred4Sound-modded Sonos Connect and Sonore’s ‘Rendus. Each of which offers, to varying degrees, a smoother, more easeful presentation where new sounds are seemingly birthed more effortlessly. 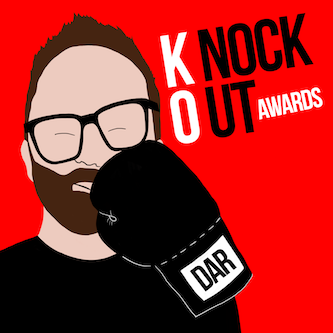 For this commentator, these are the hallmarks of higher quality digital audio transmission. In our previous HAT-related post, we heard how the JustBoom Digi HAT’s coaxial output pulls up alongside the AURALiC Aries Mini’s for a qualitative stalemate. Quite the result for such an affordable rig: a Raspberry Pi 3, JustBoom Digi HAT, custom case, cables and microSD card, all for a jot over a hundred quid. 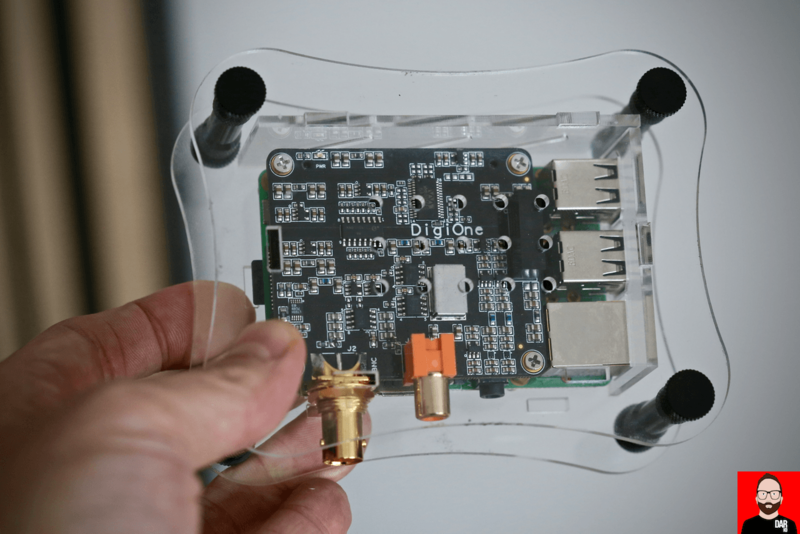 Today, Allo throw their Raspberry Pi HAT into the ring with the DigiOne board (US$99). 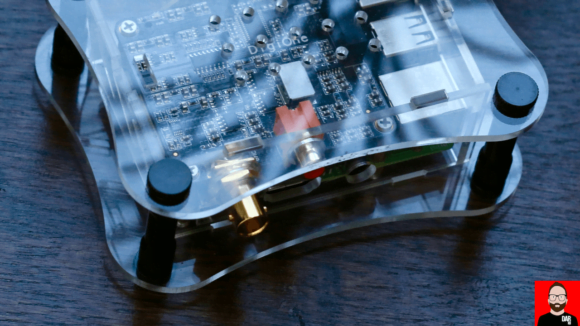 Allo’s aim is crystal clear from the outset: to deliver the “absolute best S/PDIF output”. The first casualty is bargain-basement pricing. In the Raspberry Pi world, US$99 nets us just shy of three base units. The second fatality is TOSLINK. According to Allo engineers, “[TOSLINK] by definition has a jitter of 4ns. That’s 4000ps” and “[it] had to go”. On the DigiOne we note coaxial and BNC outputs. Via email, Iaon B. elaborates: “We took a Raspberry Pi I2S signal, we made a S/PDIF stream, we then pass it through a galvanic isolator IC and on the other side we re-clock the S/PDIF stream with a very clean clock. In the end, we arrived at an output of less than 1ps of jitter and noise under 10uV….”. – the latter specification considerably less than the 50uV reported by the DigiOne’s product page. 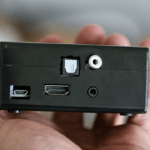 The DigiOne slots onto the Raspberry Pi’s 40-pin connector with ease. A five-second job. Of minor note are the metal screws and risers that lock it into place. Remember: JustBoom went with plastic here. Wrapping Allo’s dynamic duo is a custom clear acrylic case (black also available) whose form factor will be familiar to Raspberry Pi enthusiasts. Sure, it looks easy but it’s wise to call upon Allo’s low-budget how-to video for guidance all the same. A whopping ten minutes was required by yours truly in removing the protective film from each case piece. Four metal stand-offs hold the case together. On look and feel, the Allo offering is slightly more pleasing than the JustBoom solution. It’s heavier too and therefore less conducive to mounting to the rear of an active loudspeaker. Remember: there’s no TOSLINK to be found on the Allo DigiOne. Hooked up to the Vinnie Rossi LIO and driving a pair of Dynaudio Special Forty loudspeakers, I was able to peg precisely zero audible difference between the two output sockets but do note: 1) I was obligated to use a coaxial adaptor on the DigiOne’s BNC socket; and 2) that doesn’t mean a delta won’t present with another DAC or with better downstream hardware. For this comparison, the operating system used on both devices was Volumio. Roon Bridge was installed at the command line after which we specify the Allo HAT as the output device in Volumio’s Playback Settings page and then nominate it as the chosen output device in Roon’s own audio settings. 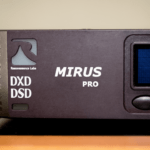 Non-Rooners can use Volumio’s in-built MPD server/streamer. A more essential A/B is how the Allo DigiOne-loaded Raspberry Pi compares to its Just Boom equivalent. Let’s not beat about the bush: the DigiOne is markedly better. It sounds smoother, richer, more easeful and offers a slightly taller and deeper soundstage than its less costly UK rival. 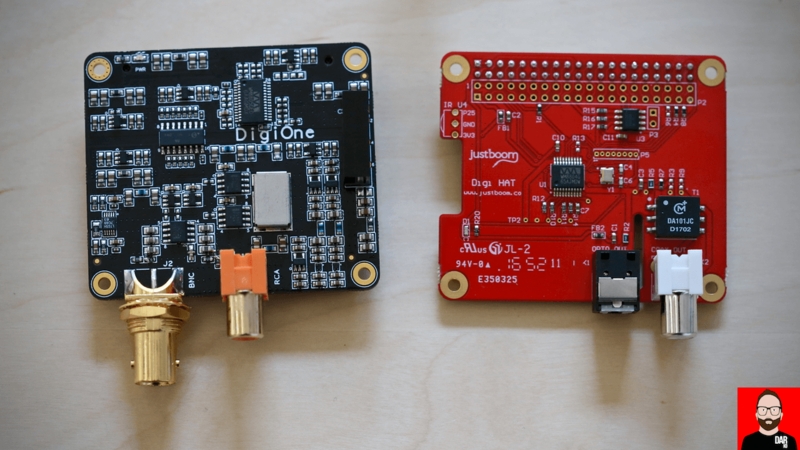 Whilst it’s hard to imagine a JustBoom owner being disappointed by the sound of the Digi HAT, if you’re able to stretch your budget, the Allo DigiOne board delivers disproportionately more of the good stuff. Allo – they are based in Bangalore, India. 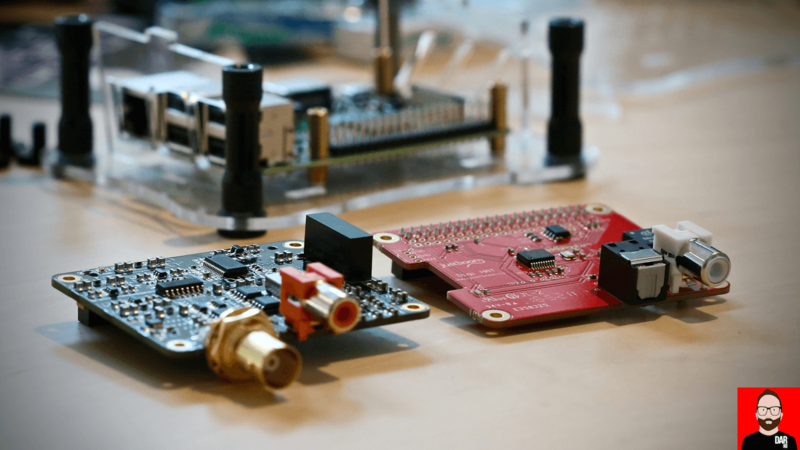 Their Raspberry Pi HAT is as good an example as any of ‘you get what you pay for’ but also a device that puts the boot into cultural preconceptions about a product’s country of origin being a reliable indicator of quality. British is best? Not ‘ere it ain’t. Recapping, if the JustBoom HAT’s coaxial is the equal of the AURALiC Aries then the Allo DigiOne surpasses it; a polished ease making more agreeable work of listening to The Jesus and Mary Chain’s “Teenage Lust” or Throwing Muses “Bright Yellow Gun”, just as Wyred4Sound’s souped-up Sonos Connect does. As such, Allo and W4S’ reclocking circuitry bring similar qualitative attributes to the table: a sense of ease and aural liquidity. As restful and rich as The Blue Nile’s Hats. The W4S Sonos subjectively takes this A/B by a nose but as it re/up-samples all incoming signals to 24bit/96kHz, it’s not bit-perfect. If that’s important to you, the Allo DigiOne has you covered. Driving the value quotient home, up the driveway, through garage and into your life is Allo’s DigiOne Player – a single purchase puts the same DigiOne HAT and Raspberry Pi 3 into the same custom Acrylic case and adds an 8GB SD Card and 5V PSU, pre-built by Allo for US$169. Stack those dollars next to the US$899 required for W4S’ Sonos or the US$499 demanded by the AURALiC Aries and the conclusion comes screaming into view: the Allo DigiOne is a transport that delivers high/er-end sound quality for far fewer dollars than any rival product currently available.